Do you consider support for Raspberry PI or similar micro-computers like HummingBoard? Or it doesnt need special support and will work out-of-the-box with Bluetooth 4.0 receiver? I have my TREG unit connected to a Raspberry pi 3 which is running OpenELEC Kodi. The pi 3 is located next to my TV which is about 15 feet from the TextBlade. I also have two OS X devices and three iOS devices connected to the TextBlade and am using the jump function to switch between the devices. I did not have to load any special drivers nor did I have to modify the TextBlade firmware in any way to get it to work with the pi 3. I have not run into of the default Kodi keyboard controls that do not work as expected with the TextBlade. I do not have any LiveTV equipment connected to the pi 3 so I have not been able to test any of those keyboard functions. Here is a snapshot of my OpenELEC Bluetooth settings menu. 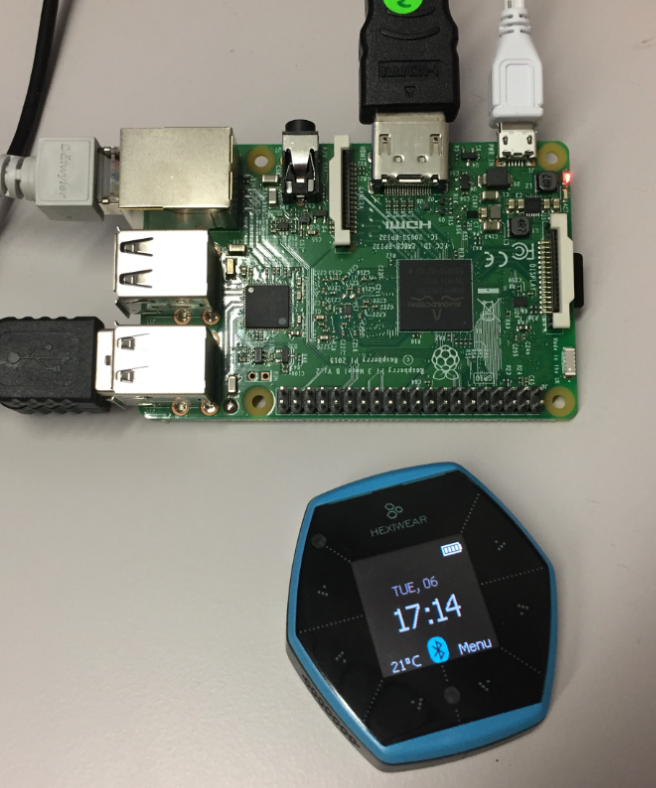 The snapshot was taken by sending a control S sequence from the TextBlade while connected to OpenELEC Kodi running on the Raspberry pi 3. I need another keyboard for use with a new raspberry pi that I am doing some development work on. Happy to find on searching this topic that the textblade works with the raspberry pi. My estimated ship window still says Q4. Shouldn't waytools revise the current estimation again rather than waiting until 1st Jan and changing it to Q1 2017? The TextBlade works out-of-the-box with Raspberry Pi 3. With other models it will work with a Bluetooth BLE compatible dongle. I've still got my fingers crossed for a last minute Christmas surprise. I wouldn't count on that either, but as it happens, last year about 3:00 AM Christmas Eve (California time), WT announced the first (and presently only) version of the TextBlade app. Of course, testers have had a number of updates to it, but not the general public. So, I guess it is possible they may try to do something this year too. I wouldn't count on release. That will happen then they think it is ready, not because of a special date. There is also the matter that long ago WT said before shipping they would contact people to confirm what keycaps they wanted. Seems to me they'd have to allow days for people to respond in order to maintain the line order. On the other hand, I believe that was because they didn't expect to have all the different layouts available right away so actually people were being given the chance to order something else if their preference wasn't ready. That may not be the case now. We just don't know. But if they do have enough of each layout, they may not do that email. They may just ship. That would be the only way to make the announcement before Christmas for shipping that I can see. Could be the best Christmas surprise after a really political, socially and existentially miserable 2016. I have a Raspberry Pi 3, and the TextBlade doesn't work out-of-the-box with it (running Raspbian Jessie March 2017 - the latest). Although the Pi 3 has BLE, the software stack isn't complete. It also does not work with my SwiftPoint GT mouse. In this context by out-of-the-box I meant that you do not need any additional hardware. I always got it to work with Raspbian by handling the pairing at the command line level (i.e. running bluetoothctl manually) although it often takes several attempts. Normally I have no luck doing it from the GUI level. The Bluetooth support seems much more reliable if you upgrade the bluez software to the latest available from bluez.org (I recently posted the script I use for automating that) rather than using the version supplied with raspbian. Thanks for your tip on pairing via command line! I'll try that when I am done work. I'm lucky you are sharing your knowledge on this as I haven't had much luck finding it in the net. Perhaps my Google-Fu isn't strong enough. The wiki has some useful information about the command line in the 'Dongles' section. I will add the script I use to download, build and install the latest bluez to that page in the section on Raspberry Pi. I've installed Bluez 5.43 according to the script on the wiki, but I still cannot pair. I'm beginning to suspect I have the issue where a pre-shipped pairing with the Air-In dongle causes pairing problems with other devices. I keep trying and it keeps saying that it times out - both on Windows and Linux I don't ever get prompted to type in the 6 digit pairing key - but it worked fine on my Mac. I know that you need a 'power on' command to bluetoothctl before attempting to pair. I cannot remember off-hand if I have used other commands as well. I have a new Pi-0 W, so I will see today if I can capture the exact sequence of steps it requires for me to get it working with the TextBlade. Having done so I will update the wiki and also post back here. I think for some reason the Keyboard agent (that handles the passcode) isn't running. After work I'll look into it again. Thanks! Oh, I figured it out!!! Once I did that, it worked! Thanks so much for your help!!! You should not need the -experimental option with the latest bluez as it is now mainstream. Regardless I am glad to hear that you have things working.